Sydney has been listed as a popular tourist attraction and with many people coming and going each day the likelihood of certain pest such as bed bugs make there way in to hotels, motels and hostels. However, bed bugs are not the only pest that you will see in hotels, hostels and motels. Other pests such as ants, rodents, flies, fleas and cockroaches are up on the list on what could be lurking around in your establishment. With such pests, it is vital for hotel, hostel and motel managers to always be aware of any pest issues that may arise in any room in the establish they manage. Unfortunately, with social media these days it is easy for guests to leave a bad review if they find an infestation of pests in their room. Bad reviews will deter any future clients booking their stay with you. Most pests come out from the surroundings but there are some pests that is bought in my guest unwittingly. Top six pests that haunt the grounds that you manage! Hotel Pest Control Sydney! Redline Pest Control has a vast knowledge on how to monitor and treat any infestations of pests in hotels, hostels and motels without compromising both your staff and guest’s health and safety. We train all our pest technicians both inhouse and through courses throughout the year to provide a safe and secure pest control for your establishment. Redline Pest Control will inspect your establishment, provide a control measure and prevention method on pests that have decided that your establishment is their new home. Redline Pest Control follows a strict integrated pest management and can guarantee that it is safe for staff, guest, pets and the environment. Why is hotel pest control Sydney so important to be clean and pest free? Pests infestations can have a serious impact on the health of your employees and guests. Bad reviews left by guests and even employees if an infestation is out of control and not fixed in a timely manner. Closure of your establishment if pest infestations are out of controlled. Hard to take control on pest if not treated in a swift time manner, as by leaving pests to breed and multiply will need further services which could see your establishment forking out extra $$$$. Loss of revenue for your establishment once word gets out that there is a pest infestation at your establishment. Redline Pest Control creates a positive client experience! As part of our pest prevention guarantee, we understand that eliminating pest in a safe manner is vital as your reputation of your establishment is a key part of your success. When carrying out our pest treatments we are vigilant in maintaining good relationships with our clients to ensure that the best pest prevention and elimination is carried out. All our pest treatments come with a service report outlining any pest infestations and hygiene of the premises we carried out and when your next service is due. Service reports are vital for council regulation bodies and shows that your establishment is being proactive in keeping pest infestations from occurring. What are somethings you can do to reduce the population of pest in and around your Hotel Pest Control Sydney? 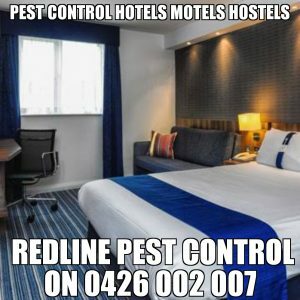 If you have a pest issue Hotel Pest Control Sydney call Redline Pest Control on 9920 0790 or 0426 002 007 to arrange for one of our experience technicians to come out and meet with you for a free no obligation quote. Why is Commercial Pest Control Sydney So Important? pest control sydney &#8211; What are bed bugs? Redline Pest Control knows that in all commercial and manufacturing facilities the number one priority is carryout safe pest control, so no stock gets contaminated. When we come out to provide you with a quote for pest control, we ask you questions and walk through the site to see what pests you have and where the pest tend to harbourage in your factory. Once we finish from your pest quote, we will email you with our scope of plan in eradicating your pests. Different pests affect different facilities and it is vital for the appropriate pest control to be carried out. We have been fortunate to be able to provide pest control factories manufacturing facilities Sydney for over ten years, so we understand the importance of carrying out not only affordable pest control but pest control which is effective in eradicating all pests. At the end of your pests service you will be emailed a service report for you to print off and pop into your white service folder or if it is more convenient we can fill one out on the spot and pop it in your white commercial service folder. Redline Pest Control follows the five basic rules of IPM (integrated Pest Management when carrying out pest management to your facilities). 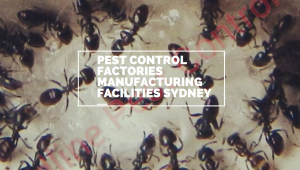 What are some things you can do to help prevent harbourage of pests in your factories manufacturing facilities Sydney! Have regular mini inspections in your premises, go around the premises and see if you can see any areas which are affected by pest or have pest droppings. Commercial Pest Control Sydney and what you can do to prevent pests from entering your place of business. Pest Control Retail Shops Sydney look no further, Redline Pest Control is here to save the day against all pest issues that have taken up residence in your place of business! Do you need reliable pest control for your retail space, German cockroaches, spiders or other nasty pest invading your stock or service area? Here at Redline Pest Control advises in order to maintain a healthy business pest control is the vital as by having regular pest control in your retail space can benefit your business in the long run. We inspect your retail site and come up with what appropriate action which can be carried out at your place of business. Once Redline Pest Control has finished with your appointment they will then come back to the office and we send out our quote to you for you to accept then we put our plan of action into place, it is that simple. 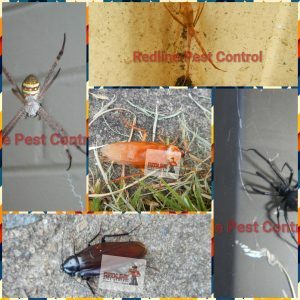 Redline Pest Control provides a white service folder for all clients to report any pest sightings or concerns relating to pests so before your pest technician carries out any treatment, he will first go to the white pest service folder and check any notes that you or your staff have written down. 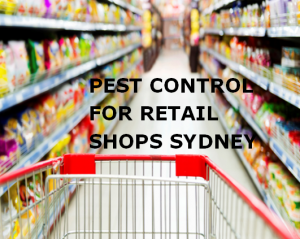 Pest Control Retail Shops Sydney has never looked so good without pests! Redline Pest Control knows that no two homes are the same and we will custom tailor a suitable bird proofing package for your solar panels. Unfortunately for us homeowners when installing our solar panels, birds will find the solar panels the perfect place to set up their homes as it provides shelter, shade and a safe spot for them to rest and raise their young. Pest birds can bring bird lice/mites into your humble above and can contaminate rainwater systems which in turn can create an unhealthy environment for your family and your home. Protect your solar panels from birds and debris by solar proof solar panels! To avoid birds roosting under your solar panels call a professional pest controller who is experienced in solar proofing your solar panels against birds, rodents and debris. Be cautious in where you store your waste as some pest birds tend to rummage through waste. 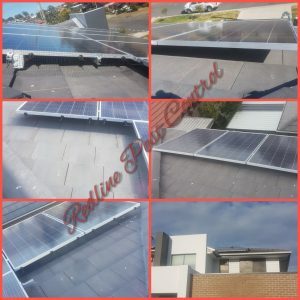 Why choose Redline Pest Control to carry out your bird proofing solar panels? Solar proof solar panels today! Redback spiders also known as Latrodectus Hasselti come from the family of Theridiidae and is a native spider here in Australia. Unfortunately, Redback Spiders Western Sydney is known to pack a punch of a bite if bitten and their venom has the capabilities to kill a human if not treated. (Did you know that antivenom was made in 1956). Only the female Redback Spider can deliver a very painful bite, whereas the male Redback Spider don’t usually bite humans unless provoked. Many poets and songwriters have made this feisty little Redback Spiders Sydney famous. So, what is a Redback Spiders Western Sydney? Female Redback Spiders can sometimes be a brown colour, but they are more commonly black with a nice red or orange stripe on their upper and below abdomen. 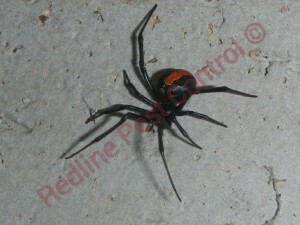 Male Redback Spiders do have the traditional red to orange markings, but it is not a prominent as the female Redback spider, sometimes the male can be a light brown with white Markings. Redback spiders tend to live in messy webs which will generally be sticky, so it can catch its prey. They can build their webs just about on anything and anywhere and can be in unsuspecting places such as a outside toilet. Redback Spiders prefers sheltered and dry areas such as rocks, shrubs, logs, piles of debris and junk, sheds and it is becoming more bolder by coming inside of our homes or businesses. The male Redback Spider don’t create a web but rather they can be found on the corners of a female Redback Spider. The male Redback Spider will actively assist the female Redback Spider in what is called the sexual cannibalism when mating. Male Redback Spider will place his abdomen over the female redback spiders’ mouthparts and she will consume all of the male redback spiders most of the time, any males that do survive the mating ritual will generally succumb to their injuries and die a short time after the mating ritual has taken place. After the mating ritual has ended the female Redback Spider will store the male redback spider’s sperm and can use that sperm over a two-year period. Female Redback Spider will spend quite a bit of time producing their white to off brown egg sacks which is roughly the size 1CM diameter, she can produce roughly up to ten egg sacs a year with over 250 eggs inside. The female Redback Spider will deposit her egg sac in her silk web and then it will take roughly anywhere from two – four weeks later for spiderlings to hatch. Female Redback Spider will mature roughly at the four-month mark whereas the male redback spiders will generally mature roughly 90 days. Redback Spiders will feed on most other insects and can be found to consume small prey such as lizards, small snakes and king crickets. Moment redback spider sees Snake prey. With all this beautiful weather that we are having here in Sydney we are having an influx of calls from residents here in Sydney that they are seeing heaps of pests in and around their homes. Summer Pest Control Sydney is an ideal breeding playground for nasty unwanted pests in your home or business. While a vast majority of pests hibernate in Autumn and Winter, some pests tend to invade us all year round. 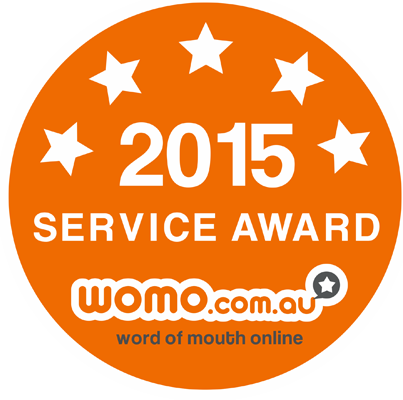 A lot of our clients tend to have Summer Pest Control Sydney as the influx of pests seem to be at their highest. There several different ways that you can insect proof your home, some of these are listed below. Go around your home and check for any damage, cracks and crevices and seal any access points that they can gain entry. After each meal, be sure to clean up straight away as crumbs are pests’ best friends. Store all food packaging in air tight containers to avoid Indian meal moths from infesting further stored goods. Vacuum every night before you go to bed and take out the rubbish to the outside council bin. If travelling, empty your luggage straight away and I know this may sound weird but also give the luggage a quick vacuum in case you bought bed bugs home with you. At the end of each night empty your pets water bowl and turn it upside down, for their food bowl give it a wash out and turn upside down. If you buy second hand goods be sure to give it a good vacuum before bringing them inside to your home. Bird Control Sydney is a bigger problem than most people can imagine. Birds can create serious issues here in Sydney. Birds can damage property and carry bird lice which can make your skin itch. Pigeons, Indian Myna Birds, starlings, seagulls, and sparrows can be serious issues for both homeowners and business owners here in Sydney. 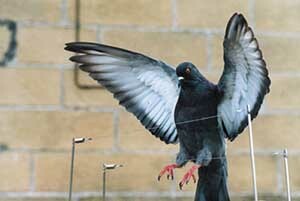 Redline Pest Control are the leading experts in bird control in Sydney. Unfortunately, birds can enter various buildings such as hospitals, shopping centers, and other commercial properties. Birds leave droppings that can spread disease and cause sickness also birds cause long-term corrosive damage to both the inside and outside of buildings. Here in Sydney many strata complexes have pebbles which have been installed on the top of the complex roofs. Birds often think that pebbles which are on the roof is food but when the bird realises that the pebble is not food they will often spit it out which then can fall below causing damage or hurt an unsuspecting human. Did you know that strata corporation is held liable for any damage that the stones may cause and is also liable if a human is hurt in the process. If your strata complex has any pebbles installed on the roof top it is best to get a Redline Pest Technician out to provide you a quote on how we can proof against birds to avoid any further damage or worst a human that is hurt. Redline Pest Control has a proven results from our bird control techniques here in Sydney. Unfortunately, birds can enter a home through various entry points such as chimneys, downpipes and missing or loose roof tiles, gutters. Once birds have gained entry inside, they can bring both bird lice, mites, and diseases. Once a bird dies inside your home there lice or mites can cause an issue until all bird nesting materials and dead bird has been removed. There are several ways we can bird proof your home so birds don’t enter your humble abode. 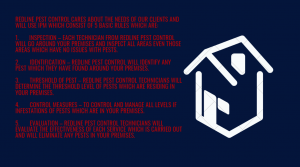 When you are searching for bird control services here in Sydney then look no further than us here at Redline Pest Control. Not only are we the leading experts in bird control Sydney but all our technicians go through extensive training every few months on the latest products and safety measures. We understand that birds in your home or business can be a huge risk as you don’t want your family members or co-workers getting sick from a disease that birds could spread. Once you realised that you have birds it is vital to remove the birds and their nesting materials as quickly as possible to avoid lice, mites and diseases. There are various ways we can remove birds from your home or business here in Sydney. If you have solar panels, we proof each solar panel by installing stainless steel UV coated wire mesh. Bird spikes can be installed along building ledges, pipework, ETC. Avishock can be installed around hard to proof areas such as Dutch roofs, commercial building ledges. Bird wiring systems can be installed around ledges of a building. Bird netting can be installed along roofs with pebbles, hard to proof areas such as balconies of units. For more information on bird proofing call us today on 9920 0790 or 0426 002 007 for a free no obligation quote. We highly recommend and love Blacktown and what it has to offer, Blacktown is a suburb in the City of Blacktown, in Greater Western Sydney, in the state of New South Wales, Australia. Blacktown is located 34 kilometers west of the Sydney central business district. Blacktown is the largest of any suburb or township in New South Wales and is one of the most multicultural places in Sydney. Beautiful Blacktown Commercial Business District is located close to Blacktown railway station. Love shopping? Be sure to check out the WestPoint Blacktown; which is a major shopping centre, with major attractions and outstanding shops! There are several small shops, restaurants and hotels in the surrounding area. WestPoint also houses a western suburb television studio of the Nine Network. Some lovely tourist places to visit and embrace while passing through or staying for a while. Blacktown allows you to enjoy wonderful attractions in vibrant, homely feels, from Feather dale Wildlife Park to Sydney Motorsport Park, from Sydney’s last drive in theatre to giant water slides. You can ride on cycling tracks in beautiful parkland, enjoy Aboriginal cultural experiences, and browse bustling markets. Blacktown is the home to superb recreational and sporting facilities as well as a vibrant arts scene and a delicious range of cuisines, the multicultural City of Blacktown is within easy reach of Sydney’s city centre. The drive is only 37 minutes from the Sydney Harbour Bridge or 40 minutes by train from Central Station. Your heart will race at Eastern Creek, Sydney’s home of motorsports with four race circuits and the Sydney Drag way. You can zoom around Eastern Creek International Karting Raceway in a hired go-kart. More sporting events are held at the Blacktown International Sport spark, an Olympic venue. Hot, and wanting something to do the family will absolutely love? Blacktown Aquatic Centre offers something for all the family; from baby pools, to heated pools and large pools, go cool down today. Some of the family thriving for the action and thrill? 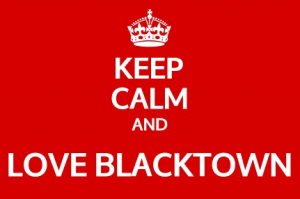 that’s okay, Blacktown has one to offer for all ! Action Paintball Games running many games daily for cheap prices! We never miss this one for a Christmas party! Talking about Christmas, something amazing that staying at Blacktown can offer, is the nice and local location of the Luna Park in Sydney, We love this display! Why We Love Blacktown – Featherdale Wildlife Park offers a range of different wildlife from the area, something the whole family will love and be super tired after the long exciting day the park has to offer. If everyone is not so tired, you can finish the night off down by the Blacktown Drive-In and start your day all again by visiting the Western Sydney Parklands. Just a couple things to embrace with the family over this joyful season. Also, for public display of indigenous insights, visit the Muru Mittigar Aboriginal Cultural and Education Centre and join a guided cultural tour or a bush tucker tour, and learn how to throw a boomerang and play a didgeridoo. You can buy authentic artworks, didgeridoos, boomerangs and native jams and spices. Definitely something to check out with the family. Why We Love Blacktown – Wet’n’Wild Sydney is also close by and loved by everyone! It features amazing world first attractions, interactive ride technology and takes fun to a whole new level for the entire family. 2018 Blacktown City Art Prize 20th December 2018 – View all 87 finalist artworks in the 2018 Blacktown City Art Prize! Now in its 23rd year, the Blacktown City Art Prize is a highly valued art prize, with cash prizes of $20,000 and acquisitive awards. Local, regional and national artists are invited to submit entries in drawing, painting, sculpture, ceramics and mixed media. Australia Day- Wake Up with the Wildlife Breakfast 26th January 2019 – Join us this Australia Day for an experience like no other! Breakfast with your favourite cuddly and cute animals at Feather dale Wildlife Park. Australia Day Concert and Fireworks 26th January 2019 – Enjoy all the festivities of Australia Day 2019 at Blacktown Council’s Australia Day Celebrations at The Rooty Hill. Carp fish out at Lake Woodcroft 2nd February 2019 – We will be hosting a free fishing event to help reduce the number of carp which are degrading Lake Woodcroft. Blacktown Fresh Food Fair 3rd February 2019 – The Village Green will be transformed into a farmer’s wonderland with the very best fresh food that Blacktown and Western Sydney has to offer. 2019 Lunar New Year Celebrations 8th February 2019 – Celebrate Lunar New Year at the Chang Lai Yuan Chinese Gardens in Nurragingy Reserve this year! This is just a couple of the reasons we love Blacktown, if you visit I’m sure you will have your own reasons. Luxury lifestyle living, Mountain views, So close to town, you’d be crazy to by pass this city. 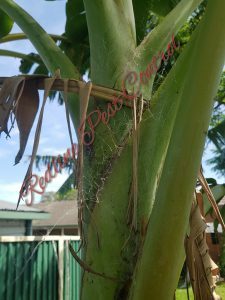 Don’t be worried about weird and wonderful pests in this town Blacktown doesn’t have many pests as such, just your normal every day pests, but we deliver pest control to Blacktown for various types of pests such as rodents, spiders, cockroaches, fleas, wasps and termites. We have specifically designed methods to treat the exact problems property owners are experiencing. End Of Lease Pest Control Sydney. Who is responsible for an end of lease pest treatment? You or the landlord? Your rental agreement is a great place to start when determining if an end of lease pest treatment is required. It will be documented in your rental agreement that you signed with your real estate agent the conditions of pest control once a tenant vacates. RTA or more commonly known as Residential Tenancy Act 2010 states that the landlord is to provide pest control at the start of a tenancy if pests is present at the premises and the tenant is to maintain a pest free premises once the landlord has provided pest control. Once a tenant moves out, they will be liable to conduct pest control on their premises ready for the next tenant to move in. What you can do in order to get ready for your end of lease pest treatment Sydney. Below is a table with who is responsible for pest in the period of your tenancy for end of lease pest treatments here in Sydney. 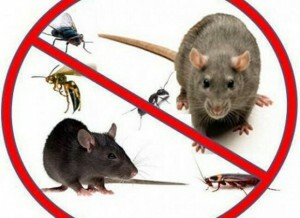 Why Is Pest Control Necessary? Get The Key Facts! Get Rid Of Drain Flies In Your Home! HOW TO WIN THE WAR ON ANTS IN YOUR HOME! © Copyright 2018 Redline Pest Control. ABN 32181302409.